PokerStars has been undergoing some radical changes in order to improve the poker playing experience online on their platform. This also included saying goodbye to some of the people who worked closely with the company, and popular streaming personalities and poker lovers Jeff Gross and Jaime Staples are the first to be crossed off the list. Both Gross and Staples released videos on their official poker profiles, and both discuss their reasons for leaving the online poker giant. The whole thing came out of the blue since PokerStars announced that they will focus on their ambassador strategy more and promote their product via them. The strange thing is that Jeff Gross and Jaime Staples are exactly the types of personality that perfectly fit their poker ambassador strategy. On the other hand, Eric Hollreiser did indicate that there will be slight changes in their course of action in the future, and it seems that it was mainly targeted at the two online streamers. Hollreiser added that the company was committed to Twitch in every possible way, but that streaming had to be at a much larger scale in order to make their impact count. In other words, they are planning to go much bigger when it comes to online streaming and that their course of action may affect some of their partners. Who are Jeff Gross and Jaime Staples? Jeff Gross is one of the online poker personalities who started a show of their own called PokerFlowShow which has managed to build more than 55,000 followers. Gross’ had a huge success which was immediately followed by an offer from PokerStars and they started working together back in 2017. Gross is not only a great personality which can attract the attention of millions, but also a great poker player who has managed to earn $3.2 million in live cashes. 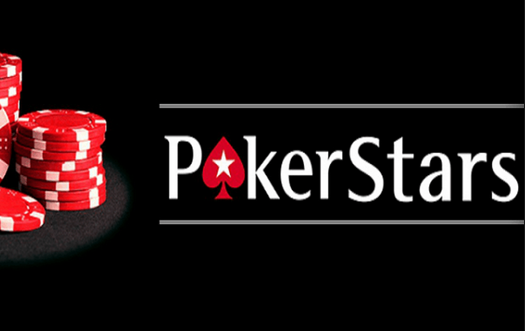 PokerStars simply saw him as a perfect fit and an opportunity to promote each other. On the other hand, Jaime Staples has a very different background story as he is not as successful of a player as Gross. On the other hand, Gross is a more of an Internet person. Although he has managed to earn only $130,000 in live cashes, Staples made a huge success streaming poker on Twitch, with more than 120,000 followers. He soon became one of the primary ambassadors of PokerStars, which bought him even more recognition. Both poker players thanked their fans and PokerStars for offering them a unique opportunity to be part of their team. The who poker personalities will continue working on new projects and streaming on Twitch. While Gross was more positive about expressing his ideas and plans, Staples admitted to being a bit worried due to parting ways with PokerStars. However, he also announced that he had big plans for the future.